Even though the crossover SUV is a fairly new animal, there are several making strides toward becoming some of the best automobiles on the road. The beauty of them is their diversity. If you want strength, there’s some out there with plenty of power. If you want to be pampered, there are luxury models that will treat you like royalty without the personal driver. If you want cargo space, there are models that offer convenient features to enhance cargo space to match some of the bigger SUVs. No matter what you’re looking for, you can probably find it in a crossover. 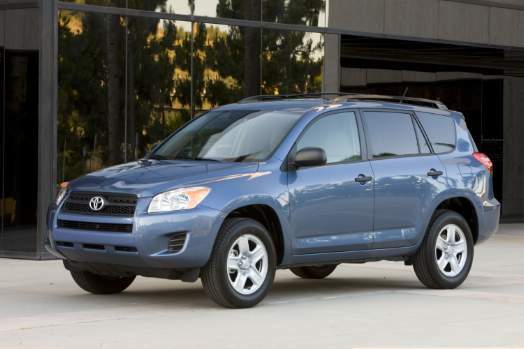 But if you’re looking for the best crossover SUVs of 2011, look no further. 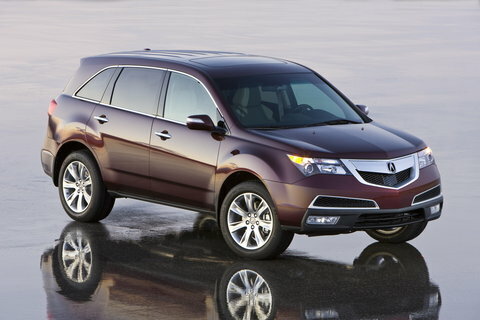 We’ve compiled research from Car and Driver, Consumer Reports, Edmunds, and Motor Trend to bring you the tops of 2011. The RAV4 combines a great mix of convenient cargo space, capable power, and decent fuel efficiency, not to mention being very affordable for a midsize crossover, to top the list in the cargo and power category. If you stick with the 3.5L V6, which is surprisingly cheaper than the four-cylinder options, you’ll maintain a maximum towing capacity of 3,500 pounds properly equipped. The V6 also achieves an impressive fuel economy of 19/27 mpg (city/highway). It is surprisingly convenient to maximize storage capacity to the 73 cubic-foot limit the RAV4 is capable of, and the flat-load floor is actually quite low for this class, minimizing strain on the back when loading. Forget about decent power, forget about superb handling, and forget about a cushion-soft suspension that soaks up bumps in the road. Even though the MDX does possess all these features, once you sit in the cabin, you’ll be drenched in a technology lover’s dream. It’s spacious, comfortable, and user-friendly. The base model is complete with a full set of gadgets and toys, but the Technology and Advance packages only heighten the experience. The multi-purpose function knob and voice commands make everything very simple to use, and the navigation system is one of the best available. Cargo space also remains impressive at 83.5 cubic feet. In recent years the Sportage has had its fair share of drawbacks. That seems to have changed with the 2011 model year, as it has addressed several of its flaws and now maintains a competitive advantage with models priced twice as high. The interior is adequately comfortable, despite some harder plastics being used in non-essential areas, it’s well-formed and features a nice complexity of shapes and curves. It comes up a bit short in cargo capacity at 54.6 cubic feet, but there is adequate head- and legroom throughout. The second-row seat would also be further enhanced if it slid forward and aft, a feature Kia has unfortunately left out. Is it a wagon or a crossover SUV? Who knows, really? That’s what makes the Outback so appealing. It combines the advantages of both the wagon and the SUV into one vehicle, at an affordable price. It possesses a spacious interior, commendable off-road performance, excellent visibility in all directions, and a class-competitive cargo space at 71.3 cubic feet. Six different style options provide a nice variety of power and amenity choices, but the price can climb to over $30K if you want the best of everything. Still, there really is no match for the Outback’s diversity of both on-road manners and off-road capabilities.